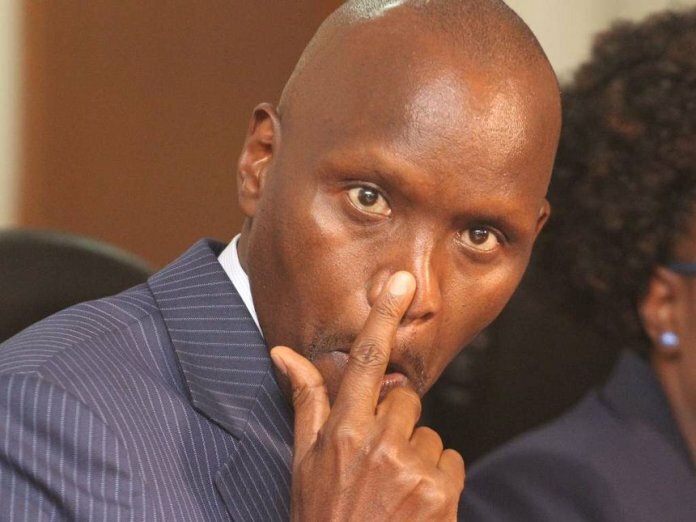 The Kenya Pipeline Company managing director Mr Joe Sang is under pressure to explain how the company lost over 23 million litres of fuel as shown in a new financial report. It is reported that the company has lost the fuel through ‘spillage to the ground’, but sources say that the board of management has refused to buy the narrative prompting an urgent meeting with the management today. Worse still, insurance firms have refused to pay for the fuel valued at Ksh2.3 billion, in what they term as unreasonable and unrealistic loss. The company’s top management, according to sources have formed a cartel that notoriously cooks books to overstate the amount of fuel lost, and illegally selling the ‘surplus’. The board records that the company under Sang in the last 15 months has lost over 11.46 litres of fuel in the last 15 months, through unscrupulous means. To add salt to injury, the company says that most of the fuel (4.8 million litres) was lost at Prof Philip Mbithi’s ranch, Lisa Ranch, in Makueni. Prof Mbithi is a former head of civil service and secretary to the cabinet. Kahawa Tungu learns that Mbithi is the outside cartel roped into the scandal, to cover up for the management and help fabricate the spillage theory. Despite evidence showing that there was no spillage of such magnitude in his ranch, he insists that it happened, but unable to show where it happened, according to reports by a local daily. Such a spillage is enough to cause an alarm, but it was not recorded anywhere. The National Environment Management Authority (NEMA) which ought to have known about such a disaster is still unaware of such an incidence(s). Environment CS Keriako Tobiko has also denied knowing about such a spillage, leaving Sang on his own in the scandal which could see the end of the road for him and his cartel. Another spillage of 1.2 million litres is reported to have happened at Ngong forest between April and May, but rangers in the forest have rubbished the reports. In a bid to try and keep tension low within his cohort, Sang told senior employees on Friday that “all is well and there is no cause for panic”. He went on to instruct company secretary Gloria Khafafa to put together a comprehensive paper with detailed responses and evidence for purposes of briefing the board today. The Directorate of Criminal Investigation (DCI) is investigating seven top officials of the Kenya Pipeline Company (KPC) over another scandal, the Kisumu oil jetty, a scandal that was unearthed by Kahawa Tungu.